The Arts and Crafts movement gave birth to the Craftsman design style of the late 19th and early 20th century. Today’s luxurious Craftsman homes are known for their workmanship, attention to detail, and a focus on form. For too long, garages have been growing while porches have been shrinking. It’s time to bring back the front porch. It is an ideal place just to sit and enjoy being outside. A cozy porch shelters you from the southern blazing sun or the northern snow storms. A country-style front porch with a breezeway gives you a flexible entertaining space. A screened porch with a fireplace allows for great views and provides a comfortable place to relax. The front porch was originally designed to be enjoyed. Unlike the tiny porches on many tract homes today, a Craftsman house porch has plenty of room for chairs and friends. 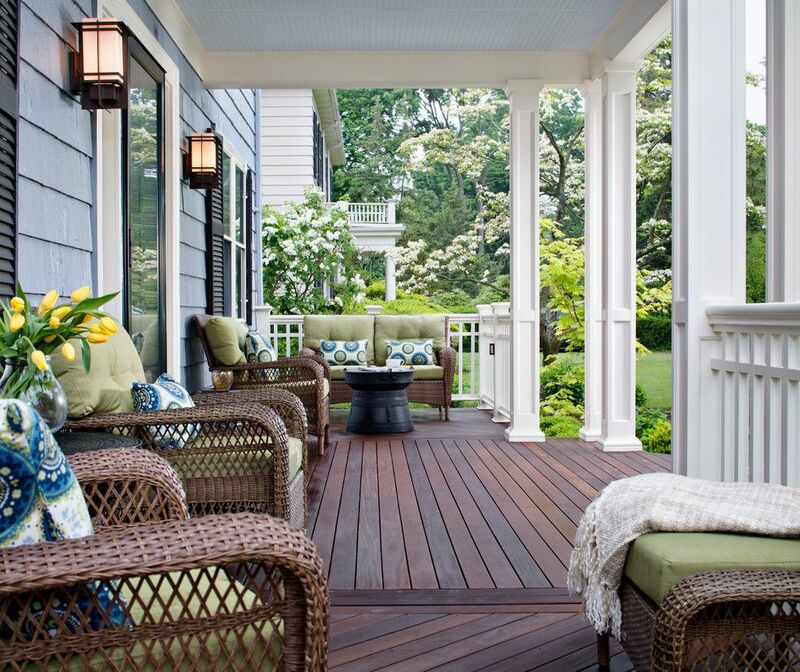 Although the front porch may appear to be just another piece of architecture that time has passed by, it's certainly making a big comeback. Craftsman-style luxury homes with inviting front porches are the specialty of home builders in Northern VA. A gorgeous Craftsman home exposes rich architectural detail throughout an open, flowing floor plan, and a lovely front porch is perfect if you enjoy outdoor living. Craftsman Construction can incorporate this design feature into your floor plan. Call us today at 540-908-2030 to schedule a complementary consultation.